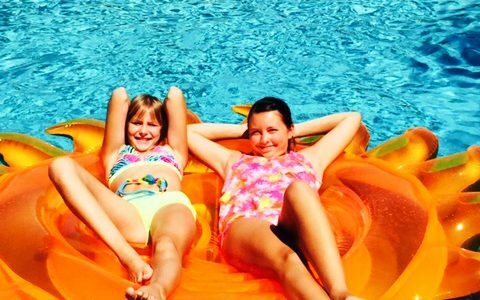 The Village Club – Your place for summer fun. If it’s tennis, swimming, or just lounging, the Village Club is your place for summer fun. Whether you grew up playing the game or have never held a racket before, there is a place for you on the courts of the Village Club this summer. On our tennis courts or on our two Quick Start courts. Online Sign-up 2019 starting March 30. Village Club Rules for 2019. Complete the west patio-deck-expansion along the west side of the large pool. Add a stairwell to the west patio deck expansion for easy access to the pool. Replace 50 plastic-type patio table chairs with 50 mesh-type patio table chairs. Replace 10 plastic-strap chaise lounge chairs with 10 mesh-type chaise lounge chairs. Purchase 15 patio table style umbrellas to replace those that are damaged or worn out. Replace outdated, large pool, strainer-assembly-units for effective and efficient filtering. Replace the tower lights with long lasting LED lighting for efficiency and economy. Install sail shades between concessions building and tennis courts. Add windscreen. Upgrade Check-in and Concessions computers software systems to All-In-One workstations. Replace the Synchronized Swim sound system with bluetooth technology and enhanced sound. Looking forward to seeing you next season.